Today is Thanksgiving in the states. I woke up to my normal 7 AM shift as a volunteer Workawayer at Magic Packer Hostel. I am working in the reception area. It was a nice sunny day and relatively quiet around the hostel. Not like a normally crowded day. Being in Peru for over a month and cooped up in the hostel for the past week or so had me forget what time of year it is. I hardly even remembered that it is the holiday season, let alone winter time. So, with no preparation I took to Google to try and find some expat restaurant in town that might be serving some sort of special Thanksgiving dinner option. 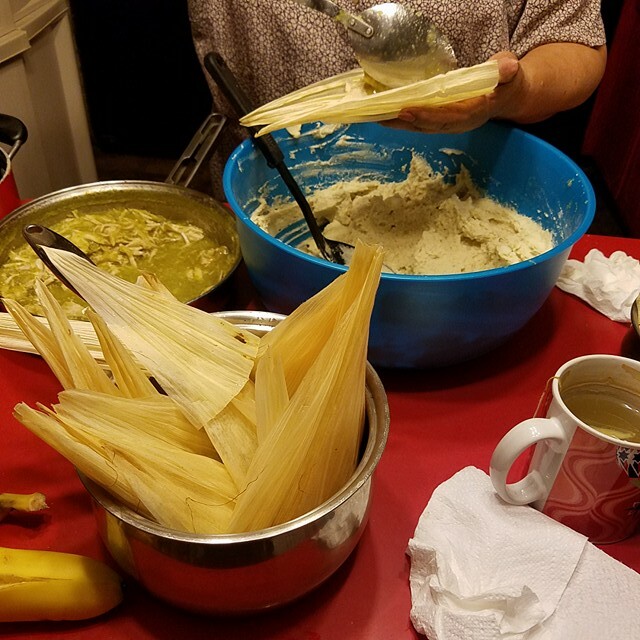 My mom would normally stay up the night before making the masa for the 30+ tamales and homemade stuffing for the turkey. She also makes homemade flour tortillas and real mashed potatoes. Her homemade cranberry sauce is a must. Sometimes she makes pie too. Would I be able to replicate any of that here? Not much luck. The few posts that I found on TripAdvisor were from 2010 and had only two suggestions. To be honest, I wasn't expecting to find much of a selection but I at least hoped for something more recent. I guess I will keep digging and see if I can find any local Facebook posts or maybe something on couchsurfing. I could attempt to cook my own version of a Thanksgiving dinner but finding turkey here in a supermarket might be difficult. It's now later in the afternoon and I have researched several sites. Even checked couchsurfing and Facebook events but nothing came up. One hostel advertised a Thanksgiving Dinner but the post was over a year old. I've pretty much lost hope that I would be able to find anything relevant. So, I decided to try and make a mini Thanksgiving dinner minus the turkey. I can try to make mashed potatoes, maybe some sort of dessert, but where could I get stuffing? Another dilema is the hostel does not have an oven to bake anything. My shift was over for the day and I took to the streets in search of a restaurant that may have signs posted outside for a turkey dinner. After about an hour walking around the main square and one of the bigger supermarkets in the area, my search for a traditional Thanksgiving dinner was a bust. Ah well, I still bought some ingredients to make mashed potatoes, veggies, choclo (inca corn) and grilled beef. It wasn't exactly what I was hoping for but it's better than nothing. I guess I can't expect much when I planned it such last minute. The food turned out pretty good regardless. We ended the night with some red wine and a stroll around the neighborhood to get a slice of apple pie at the local Panaderia. I must admit I missed hanging out with the family more than the traditional food. I hope everyone had a great holiday around the States and enjoyed their precious family time.